BRC Grizzly team in their finish t-shirts after the 2012 event, named “Every Hill Has A Silver Lining”. 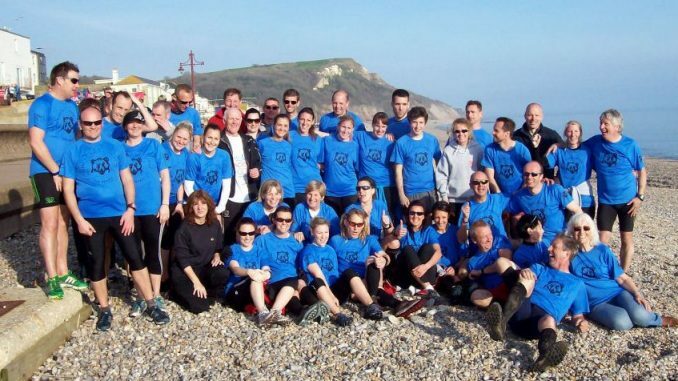 The Grizzly is multi terrain 20 mile race held in Seaton, Devon. Its a unique event and atmosphere and a race that Benfleet RC has made the pilgrimage to for a good number of years. Its an race that should be on every runners bucket list! Entries and accommodation for the Grizzly are kindly organised via Pete Watson, please see Pete on a Tues/Thurs at the clubhouse for details on accommodation and race entries.